Motorcycles are a true representation of freedom on the road. With the motorcycles rise in popularity has also come the rise in the number of motorcycle accidents. Accidents can be caused by hazardous road conditions, impaired driving, or negligent drivers. It is essential that motorcyclists understand their risks and rights before hitting the road. Earlier this year, the state of New Hampshire released the “New Hampshire Highway Safety Plan” in fulfillment of section 402 grant requirements of the National Highway Traffic Safety Administration. In this plan, the state presented detailed statistics about New Hampshire motorcycle fatalities between the years of 2012-2016. They were broken by several different factors. There is not a helmet requirement under New Hampshire law. 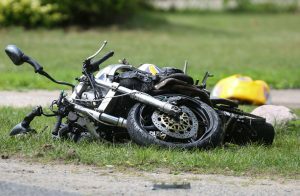 New Hampshire’s survey shows a decrease in overall motorcycle fatalities in the state, even still, motorcycle accident fatalities that occurred where the rider was not wearing a helmet accounted for 61% of all fatalities during that five-year period. The vast majority of motorcycle fatalities in New Hampshire occur to those aged from 35 to 64 years old. There no specific evidence to support why, but the statistic may be causal based on the fact that the age group most likely to own a motorcycle is near the same age range. The time of day that motorcycle accidents happen mirrors the time of day that the majority of all motor vehicle accidents happen—in the late afternoon and evening hours. The state proposes that if they focus their motorcycle law enforcement to take place during these hours they can precipitously decrease the motorcycle accident fatalities in the future. Between the years of 2012 to 2016, motorcycle accident fatalities occurred on Friday, Saturday, Sunday, and Monday 69% of the time. The causal effect of this being that there are typically more motorists and motorcyclists out “joy-riding” or traveling for day trips during the weekend, which also results in a higher number of people driving under the influence, both motorcyclists and four-wheel motor vehicle drivers alike. Further, 59% of motorcycle accident fatalities from 2012 to 2016 occurred in the summer months. There are several statistics on the internet when it comes to motorcycle accidents and motorcycle safety and you could spend days looking up statistics that may pertain to you. However, if you or a loved one has been in a motorcycle accident you need to retain the services of a skilled, dedicated, and experienced motorcycle accident attorney today. At Tenn And Tenn, P.A. our motorcycle accident lawyers are riders themselves and we understand how your livelihood and well-being can be extremely affected by motorcycle accidents. Call us today for a free injury consultation and let us start fighting for your rights!